The New York Rangers last won the Stanley Cup in 1994, with Mark Messier leading the team to its first championship in 54 years. With the acquisition of veteran Rick Nash, the team hopes to drink from Lord Stanley’s Cup once again after another 18-year championship drought. Nash joining the team put the Rangers in the headlines, but the team is also making some strategic moves behind the scenes to help improve the team, including enhancements to its training facility. 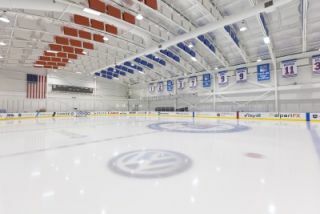 Savant Systems, which introduced the first complete Apple-based commercial control and home automation system, was approached by Rangers’ management to develop a simple, dynamic and user-generated system to alert players and staff of key messages and statistical information related to the team’s daily schedule and activities. The team’s leadership wanted the ability to create and manage messages from their personal computers, iPhones and iPads and display these alerts on the 12 HDTVs located throughout the team’s primary practice facility in Tarrytown, N.Y. They were drawn to Savant’s video processing and scaling technology that allows all messaging to be overlaid over live video without having to switch sources or interrupt programming. In addition, Rangers’ team management also wanted to give their team members the ability to play their own music throughout the weight and locker-room facilities with ease. After reviewing the team’s needs, Savant provided the Rangers with a solution that can control audio, video, lighting, security, climate, messaging and any other subsystem or technology through one Apple device using Savant’s TrueControl app. TrueControl is a control application that transforms an iPad, iPod Touch or iPhone into a remote for residential and commercial environments. Savant delivered a comfortable and leading-edge experience for complete two-way control of audio and video, lighting, security, climate, messaging and any other subsystems or technology. Through the messaging system, Rangers’ management can use their email client to alert players about team meetings, when they need to get on the team bus or any other information that the team needs to share with its players in a timely manner. These messages are displayed as scrolling text that appears on the dozen HDTVs used throughout the facility. Custom message boxes are also included on the screen to allow for Web-based content to be displayed. This represents a dynamic way for the Rangers to pick and choose Web-based content that they want to share with the players. From an iPad, the team can select from one of three content options—league standings, team stats (the number of power plays, penalty kills and a point summary) and NHL player stats—that will automatically cycle through each selection once every two minutes. The Rangers also use one area of the screen to present RSS feeds. Some of the sources they use include NHL.com, TheHockeyNews.com, TSN.ca, ESPN.com, SI.com andNYRangers.com. To give the Rangers’ players the ability to listen to their own music, Savant installed three Savant Media Docks that are located in the locker room’s equipment area, providing independent music and volume control for each room. Control from these rooms comes from an in-wall iPad as well as the lead trainer’s iPhone, all through the Savant app.